The Florida Department of Transportation could be interested in sprucing up parts of I-4 in West Volusia County. Their new outline calls for adding four toll lanes, building on the I-4 Ultimate Improvement Project in Orlando, but there is some cause for concern. FDOT might want to expand some of I-4’s eastern leg, making the journey from Daytona Beach to Orlando and beyond a little easier on the driver. The potentially $500 million project would add two toll lanes in either direction all the way to State Road 472, bringing the interstate to ten total lanes in Deltona, according to the Daytona News-Journal. Continued highway construction means familiar headaches for some Daytona Beach residents. Here’s how the I-4 expansion would take place and what it would affect, plus insight on how express lanes have affected parts of I-95. FDOT plans to widen the roads to include four new toll lanes, adding to a growing express network allowing travelers to quickly move around or even bypass Orlando. 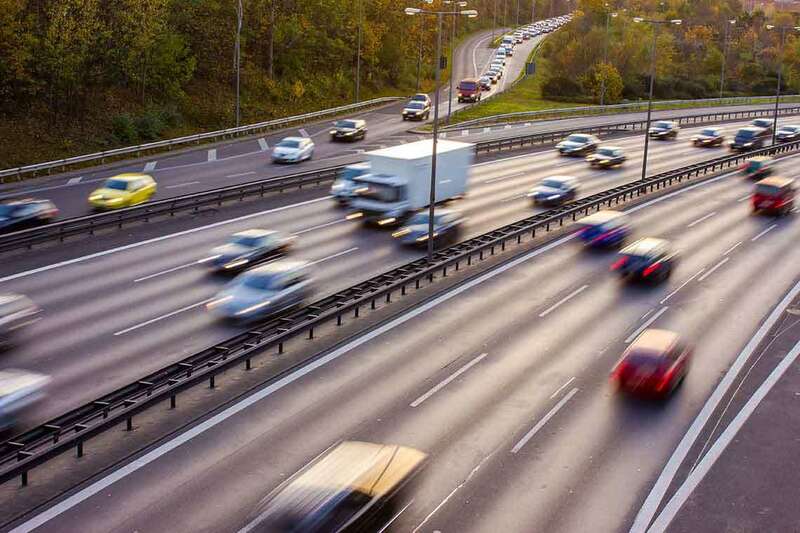 The Federal Highway Administration recognizes several sources of traffic congestion, and the FDOT plan would directly create or influence some of those sources by causing new events on the highway and changing features of it. Adding work zones on the highway means new delays, reducing travel lanes, speeds, or even closing roads entirely. The outcome is increased danger and driver frustration, and I-4’s lengthy history of construction hits close to home for many drivers. The plan isn’t restricted to toll lanes and the highway, either. Several adjustments in Deltona’s surface roads might be seen. Saxon Boulevard could be widened in both directions to handle the expanded interchange, and Rhode Island Avenue could be built out to connect with Normandy Boulevard. The plan is in its infancy, so many of the specifics are still up in the air, but the disruption has some residents concerned. This problem would only get worse with the expansion, especially during construction, but FDOT is considering a sound barrier to fix the worst of it. But some people could lose their current homes, and have to relocate elsewhere. Up to 40 homes and one business might have to relocate, according to FDOT. For some this relocation is mild, but many residents might not be interested in giving up their homes, or live much closer to the highway. Residents in other part of the state aren’t responding well, either. Broward County residents fumed earlier this year to the Sun-Sentinel about hastily added express lanes that were configured poorly, had inadequate signage, and actually increased accidents and congestion for the year. The same fate could be seen just southwest of Daytona. FDOT’s vision in Deltona calls for expanding the highway and adding express lanes, a combination the more southern leg of I-95 didn’t get. The project could make traveling between Daytona Beach, Orlando, and everywhere in between and beyond easier, but only time will tell the lasting effects of the program. Road construction is prevalent in a growing economy, and updates to the network connecting Daytona to the rest of the state are long overdue. The changes are expected to improve traffic flow in the long run, but short-term dangers might crop up. Accidents shouldn’t be as common as roadwork. Construction pits drivers against unfamiliar conditions like road closures or diversions, inadequate signage, and even more congestion than normal. All of these hazards increase your likelihood of being in an accident. Don’t let the stress of the road keep you from getting what you rightfully deserve. If you or someone you love has been injured in a car accident, our Daytona Beach car accident attorneys are available to help you navigate the twists and turns of the often complicated insurance claims process. If you’re ready to file a lawsuit, fill out our risk-free, no-cost case evaluation form today.